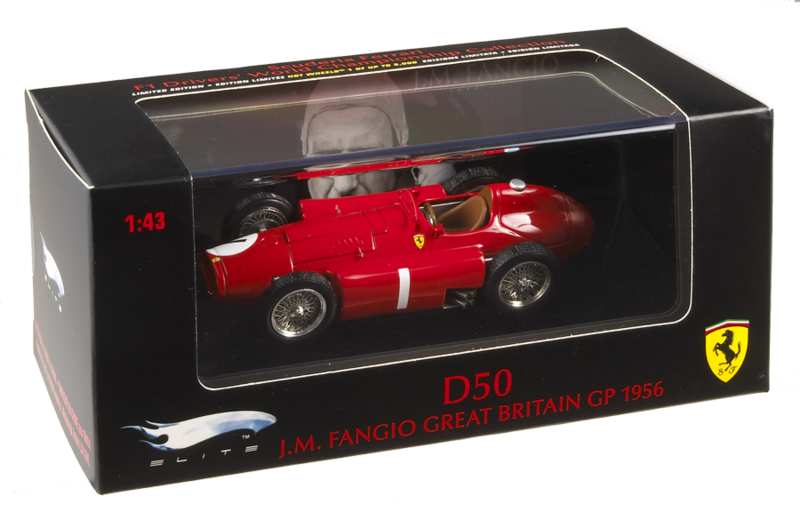 Гоночная машина Ferrari D50, Fangio, Great Britain GP, 1956. Масштаб: 1:43. 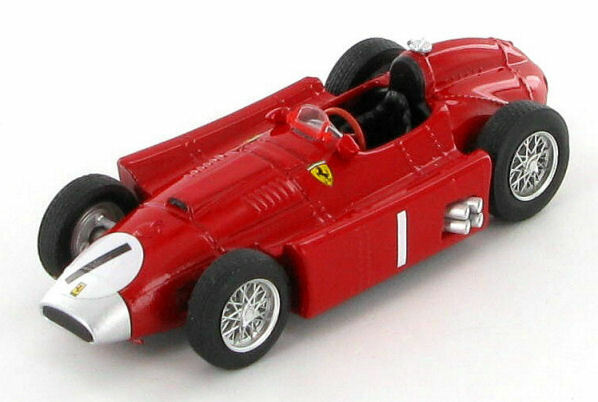 Произведено по лицензии Ferrari S.p.a. компанией MATTEL. Для безопасной транспортировки модель надёжно зафиксирована на демонстрационной подставке. По желанию, вы легко можете убрать фиксирующие винты. Work on this design was begun by Lancia in 1955 but after Ascari's death, Lancia gave all its Formula one resources to Ferrari. The car is characterized by the two side tanks originally for fuel, but then reduced to the sole function of wheel guards. It also has a trestle-type chassis, where the engine is part if the resistant structure. 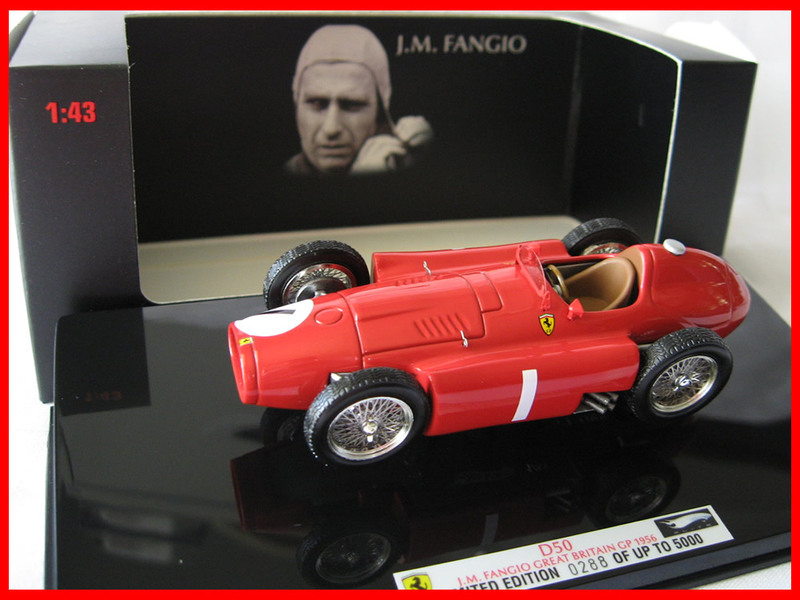 The Argentine Fangio won the Formula One World Championship in 1956 with this car. 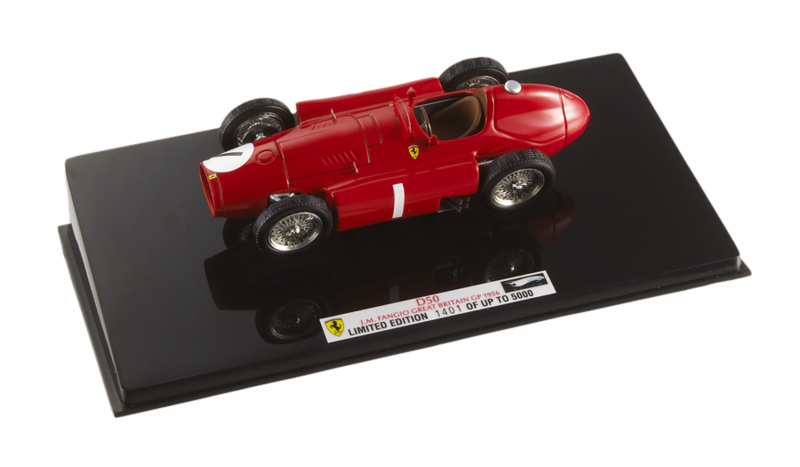 During their competition lifespan D50s were entered into fourteen World Championship Formula One Grand Prixs, winning five. 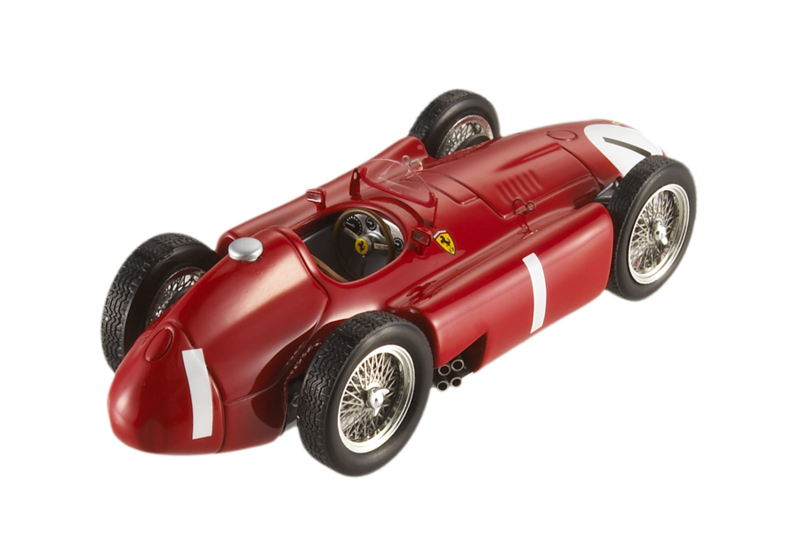 It's a winning model in 1:43 scale, sure to delight fans and collectors.